Hello there! As you probably know, this past two weeks has been a very busy one for us. And if don't know, we moved from Alabama to Germany this past week. I've been meaning to share our journey (so far) but it's been difficult to make this post happen. I've been so tired, overwhelmed, busy, or just cramped and unable to find the creative writing juices necessary to make this anymore than a boring log of events. Our first stop was Atlanta. I love this city, a whole heck of a lot. It's not scary big, but still has that metro/modern feel that I'm obsessed with. It also has a retro-hipster underground scene that still takes me by surprise everytime I visit. 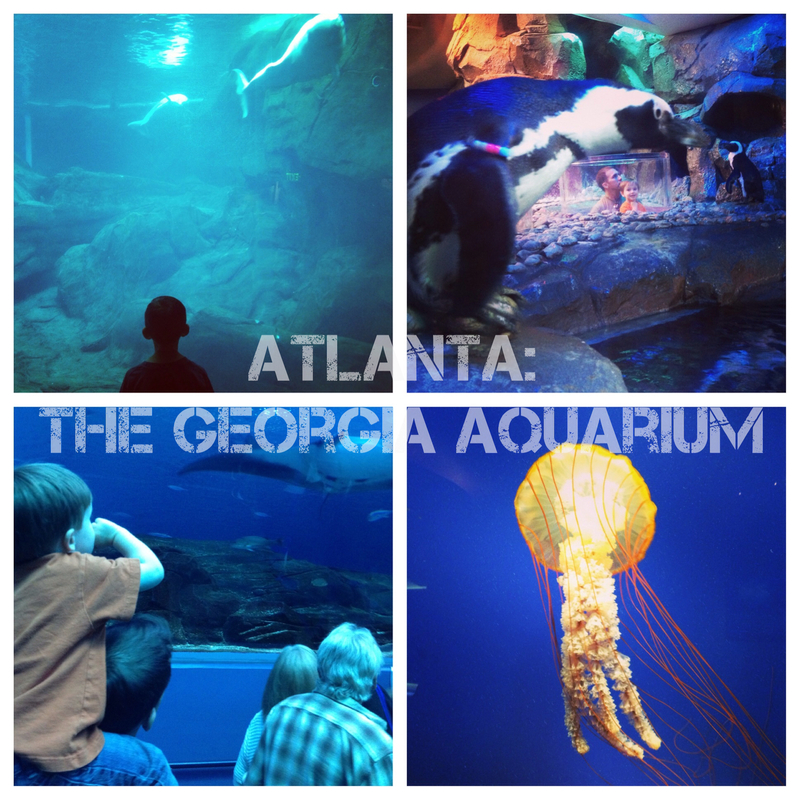 This time we went primarily for the aquarium. We've been before, but Jude was too tiny to see it, so I really wanted him to experience the world's largest aquarium and its four giant whale sharks. We had a blast, naturally. We only spent the one day in Atlanta. The next morning, we were back on the road and headed to my other favorite Georgia city. You probably know that we lived in Savannah for 5 years before we moved to Alabama. Savannah is really one of the most beautiful cities. Even though this stop was out of our way, we knew this would be our last chance for a while to see our "almost-hometown," so we made a slight detour to say goodbye. We were able to have dinner with some old friends, and took in the beauty of the historical downtown landscape. If you've never been, you must go. So far, the trip was without any real catastrophes, other than a few pinched fingers. The hotels were pretty nice so far and we hadn't managed to get lost. 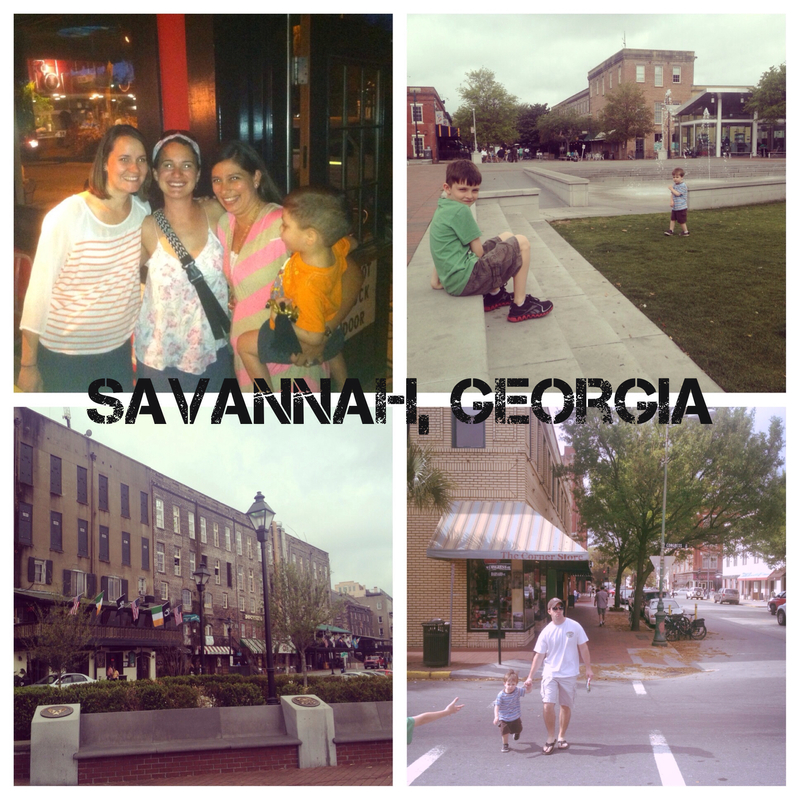 After a couple days in Savannah, we were back on the road again. This time it was due north to Baltimore. However, our good luck was beginning to run out. After an hour on the road, we realized we had left the one, completely irreplacable item we owned at the hotel: Jeremy's 30 year old baby blanket that Jude is now desperately attached to. Thankfully, we were only an hour away, right? Because we were driving both of our cars, Jeremy just turned around and headed back. I had some friends that live along our route, so we hung out for a few hours in North Carolina while Jeremy did the backtracking and finally caught up. Crisis averted, and we were back on the road for Baltimore...another six hours away. We drove through the nations capital around midnight...and hit bumper-to-bumper traffic...at midnight. Then, we got lost...at midnight...on D.C. freeways. It was not fun, friends. Finally, we found our way out of the city and arrived in Balitmore around 1:00am. The night had more in store for us. We checked into our hotel to a room on the third floor with a completely broken window. It smelled and there were dead bugs all over the window sill. They gave us a new room, but I told them we would not be staying more than one night, and promptly checked out in the morning. Thankfully we found a much nicer hotel in the same area. Is there anything worse than a gross hotel? Later that afternoon, we headed back to the madness that was downtown D.C.
We didn't get lost this time. In fact, it was BEAUTIFUL day in D.C. 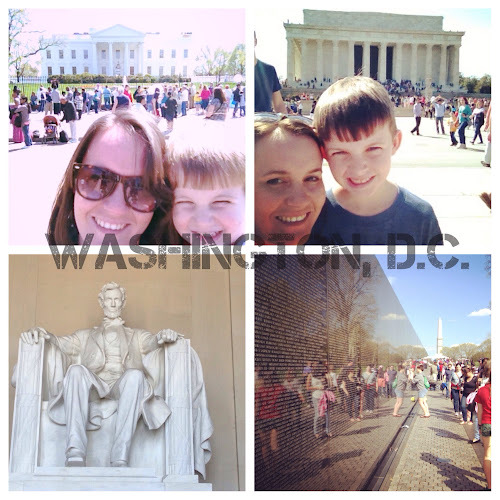 The city was very easy to navigate and eventhough we didn't see half of the National Mall, we did see four major attractions within four hours of walking, so it's really a very easy city to sightsee. I used this app to navigate the sights, one of my new favorite travel apps. I'm so glad that we took the time to see the city. The following day we just stuck around the hotel and packed and prepared for the LONG day coming. Because the next day...was fly day. Not surprisingly, this was a LONG day. Mostly because it was two days in one with no bed in between. The kids behaved perfectly and the whole day(s) went pretty uneventfully. 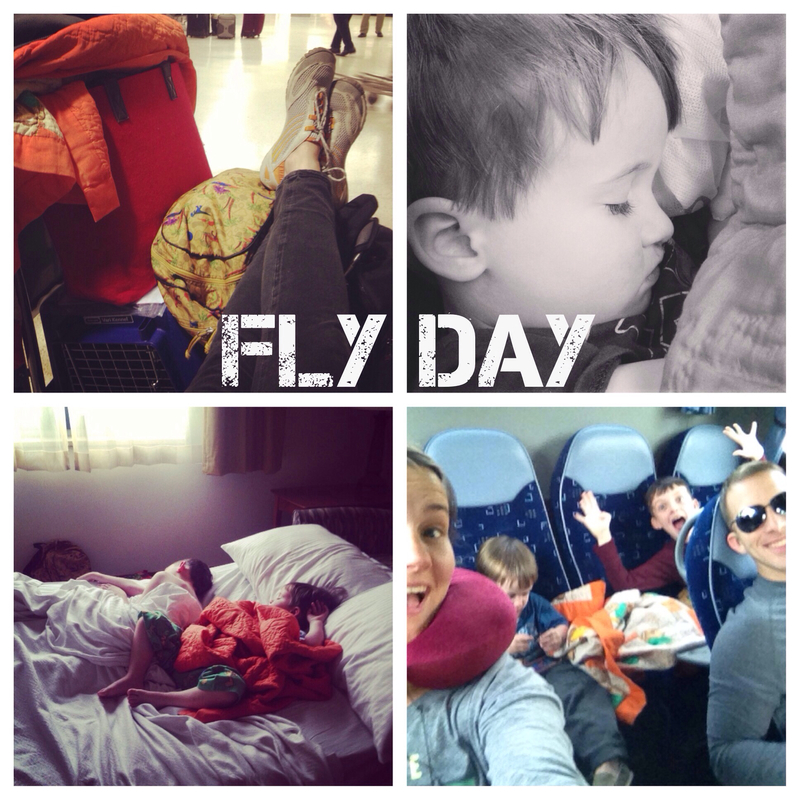 After landing in Germany, we then had to take a bus to our base (bottom right photo). 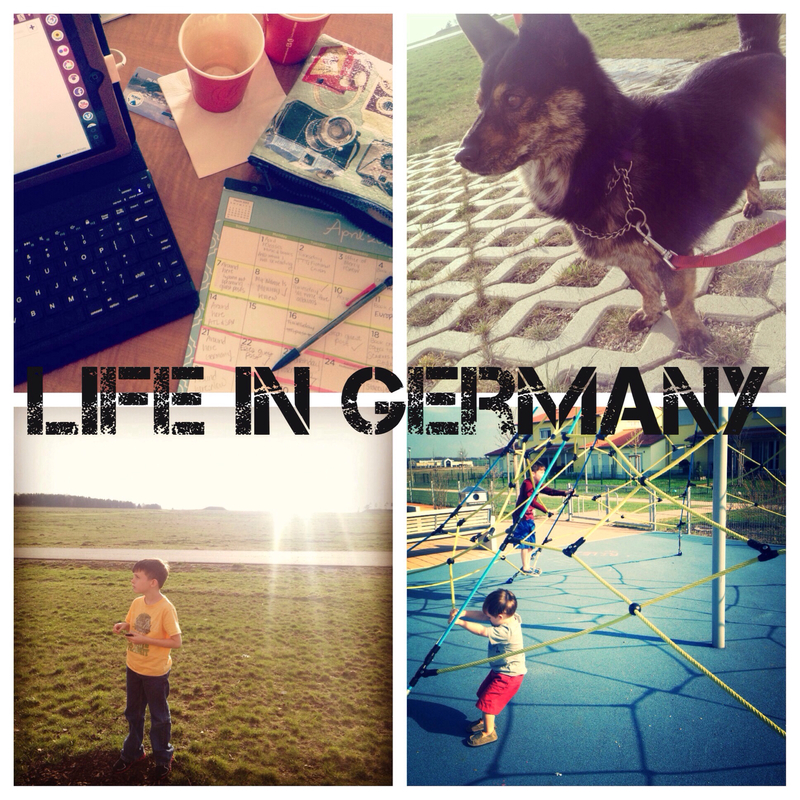 Now, we are semi-settled here in Germany. The hotel we are staying at is wonderful. It's big and they have free coffee round the clock in the lobby. I don't need much more than that. We're in the process of learning the area, meeting people, recovering from jetlag and inprocessing into the system here. It's not easy, though. We don't have a car, and can't rent one until we get our German driver's licenses. We don't have real cell phones yet and nothing is nearby or easy here. Thank the heavens for free WiFi. And the grand finale of our moving struggles...Jonathan took a little leap off the swings at the park on Thursday and broke his arm. Upon screaming "I broke my arm," my only fear was that I was going to pull up his sleeve to dangle arm or even worse...exposed bone. ((SHIVER)) Thank GAWD that was not the case. In fact, I comforted him and told him there was no way it was broken because he could move it and it wasn't swollen. Other than shouting, he didn't even cry. To be on the safe side, we made him a doctor's appointment the next day. And through the greatest trials of hell, we barely got him to the clinic in time. Why the trials of hell you ask? Well as soon as we got on the bus, poor Jude puked all over himself. So, here I am, stranded with no cell phone, no car, a toddler covered in puke and a kid with a broken arm. Rock bottom, people. Thankfully, a soldier who recognized Jeremy appeared (from God?) and drove us to the doctor. And the x-ray showed a fracture and the need for a pretty new blue cast. I'm just glad he wasn't in much pain. And now he gets to be the new kid at school with a cast. Plus, he's adorable. Win/win. From there, the rest of the weekend has been relaxing. We are fairly certain we have passed the trials placed before us and things will be pretty low-key from here on. ((FINGERS CROSSED / KNOCK ON WOOD)) We start looking at apartments next week. I'm excited about finding our new home...but then I'll have to give up my free coffee in the lobby...so it's a toss up. Thanks for sticking through all of that, if you did. I hope you've been enjoying some of the guest posts I've had this past week. There are even more to come. And a BIG thanks to those of you who have helped me out. It was such a relief knowing that the blog wasn't collecting dust while I've been moving all over God's creation. Once we do find our new place, I promise there will be photos and maybe even a VLOG? If you have anycuriosity questions involving military moves of this caliber, ask away. I know it can seem confusing to others. I traveled here with two dogs. That was the most stressful part of the trip (I flew commercial). Friends drove us to DC so that we didn't have to have a layover and the dogs didn't have to spend that much more time in the crates. I was in temp quarters for 7 weeks and couldn't wait to get into a place with a back yard so that I didn't have to put dogs on leashes 10x/day! The first few days are always the hardest and it's crazy how many things go wrong! Glad you're over the worst of it. Hope you get to start enjoying things soon!! Wow, there really has been a lot going on...and a broken arm?! Oh my, poor boy! I can imagine how frustrating things might be at some point, been there, done that, but I am sure once you guys get settled into your new home all will fall into place! What a trip!! Glad everyone is ok and getting through all the transition. Can't wait to follow along on this new journey! Army moves are ALWAYS so eventful right?!? We are headed out on Thursday and taking a road trip from Alaska to Georgia... let the adventure begin! I can't believe all that happened in one day! (The doctors, the bus, and the puke) That's just too much lol I'm glad someone was there who was able to help out! That would have been my break down and cry moment. FAMILY ROAD TRIP!! That's so awesome! Looks like, despite even the craziest of moments, you guys had a really awesome time. I'll be honest, I could totally imagine you in between one pukey kid and another with a broken arm and are you ever a trooper or WHAT. It made me want to come see you just so I could high five you. for real. Nice to hear you made it to Germany safe and sound!!! Oh my wow what a trip! I am crossing my fingers and knocking on wood! Washington D.C. is one of my favorite cities but yeah, the freeways are the worst. 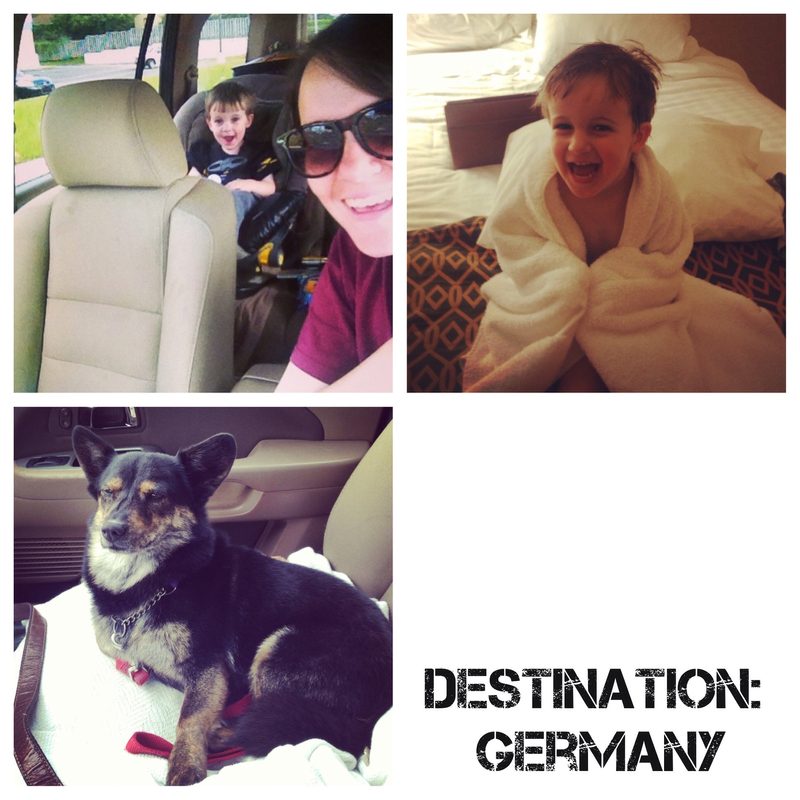 I can't wait to follow your adventures in Germany. Good luck! You guys are really making the most of your big move, I'd love to think that I would handle a move like that with so much grace but I think I would just freak out the whole time. (The Georgia aquarium is AMAZING! I wish I could go back so bad) - so excited to hear about life in Germany! What an eventful move! Moving overseas can be like that, huh? We always make it a road-trip while we PCS. Ah this makes me want to travel SO BAD! So much's happened! Glad you guys made it there safe!